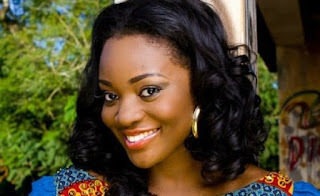 Ghanaian actress Jackie Appiah turned a year older on Monday, December 5. The multiple award-winning actress on the day drove to Adenta in Accra to celebrate the anniversary with orphans at N.I.C Safe Haven children’s home. Jackie during her visit donated items worth thousands of Ghana to the home. The items she gave to the children to put smiles on their faces included bags of rice, bottles of drinks and water, school bags, Christmas goods and many other items. Zionfelix.net was at the venue when Jackie Appiah was celebrating her birthday.